I am so excited to be back again and on a roll with an entry ALREADY into Global Design Project for this week. I am super organised for once. 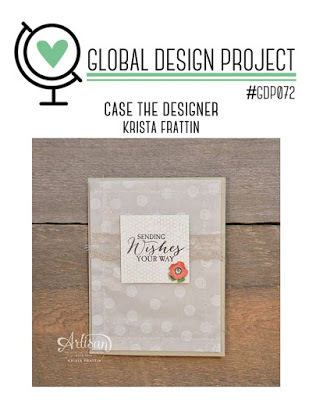 I think personally it was this amazing challenge to CASE (copy & selectively edit) the amazing Krista Frattin. Her work is stunning! YEP! 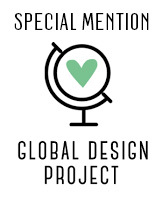 I got a special mention for Global Design Project last week which was to create a 3D project. I created those very fun Popcorn boxes. There were so many lovely projects. Be sure to pop over and have a look. 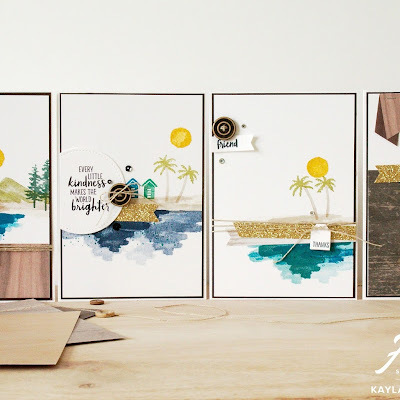 Here is the lovely project to CASE for this week by Krista. You can take a look at the challenge and enter here. 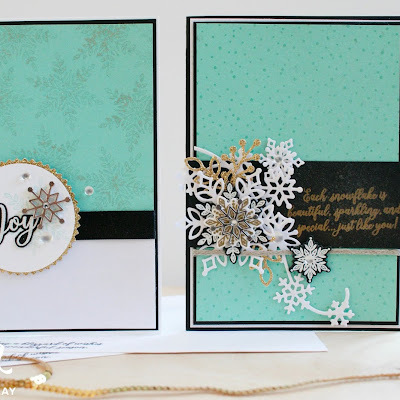 I took the basic layout that she had created which I LOVED due to it's simplicity. 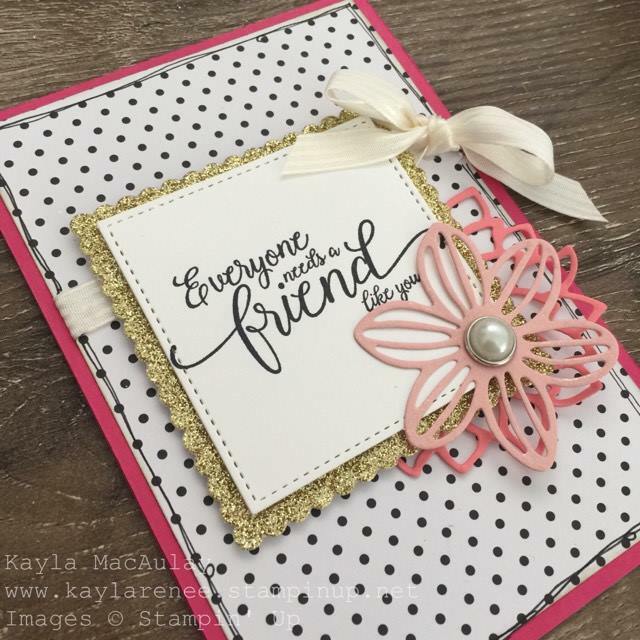 I added a few 'Kayla' touches and decided to be brave and scribble around the outside edge of my DSP. Eeeeekkk! I do like the effect though and I am glad to be getting into more of that DSP. I love using the Stitched Shapes Framelits. They are a lot of fun and I will never get tired of them. For those that didn't know, they are available to order again! I just popped an order in for those for a lovely customer last night. Get in quick! 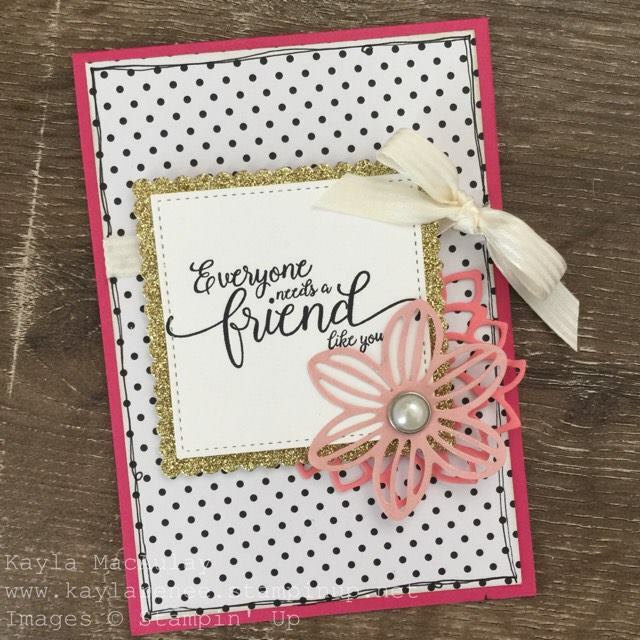 I have also used these gorgeous May Flowers Framelits for the first time. 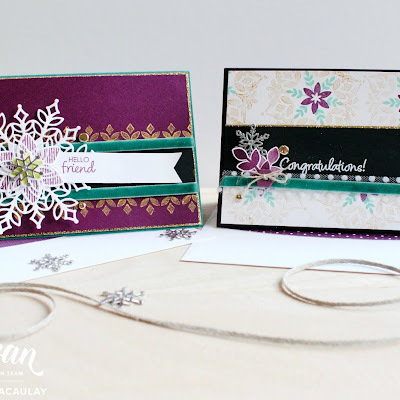 I got them in the big sale Stampin' Up had at the end of last year and haven't used them. I think moving house contributed to not stamping for a while. I love the combination of a couple of different pink tones here. 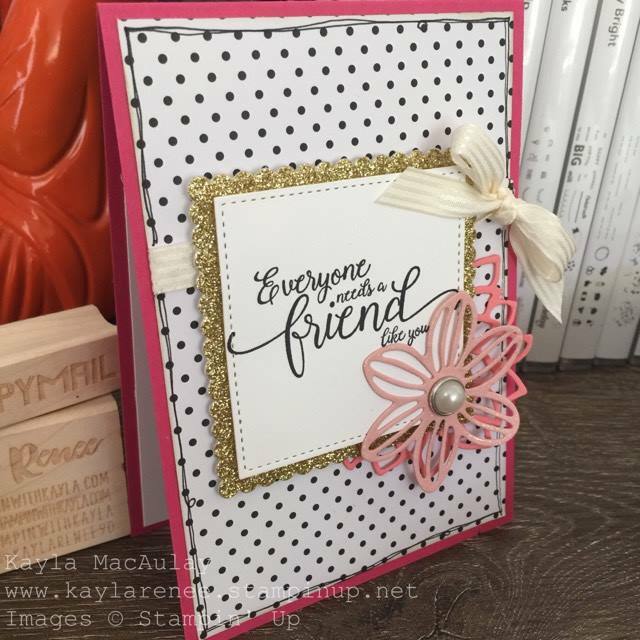 I have used Melon Mambo for the card base and then Flirty Flamingo and Blushing Bride for those gorgeous flowers. 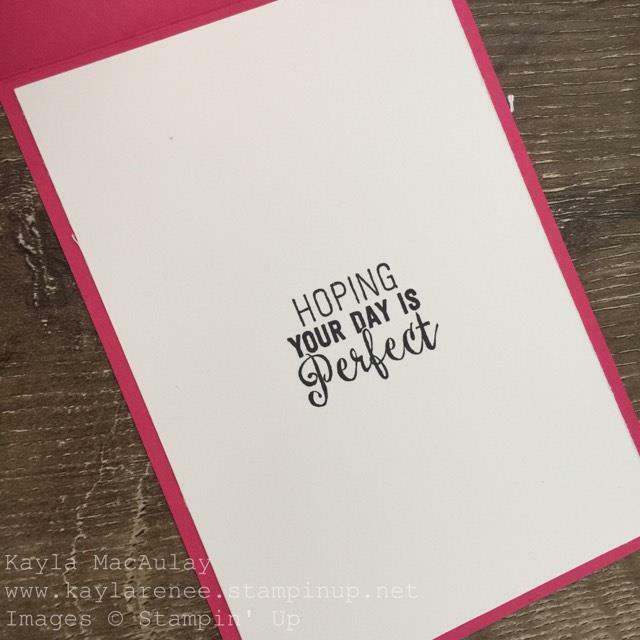 I couldn't of course call it complete without decorating the inside of the card, so I used another sentiment from Suite Sentiments to stamp on the inside. I love the finished look it gives. I hope you have enjoyed another one of my posts. I am off to jump into my lovely LUSH bubble bath and read some of my book (it's my challenge to read more this year!) and hopefully do some CREATING tonight. I have plenty of blog hops coming up.